Dundas, Hamilton, Burlington, Ancaster, Flamborough, Brantford and Waterdown patients can now access a breakthrough treatment in chin fat reduction. Belkyra™, also known as Kybella in the United States, is an injectable treatment that dissolves the fat under the chin for a refined and rejuvenated chin and jawline. Belkyra™ has revolutionized the way patients who are bothered by a double chin can redefine their jawline and upper neck. Chin fat or fullness under the chin bothers 67% of people. Sometimes, no matter how much you diet or exercise, the fullness in this area may not go away, and may make you feel you look older and heavier than you are. There are a few procedures to remove the fulness under one’s chin, but most of them are invasive, requiring surgery. Belkyra™ is another procedure and only involves a few injections under your chin; customized to target YOUR problematic area. With only a few days down-time your neck and jawline can look more defined. Cutis Cosmetic and Laser Centre is pleased to offer its patients this downtime-free treatment to reduce the look of a double chin without surgery. The Belkyra™ injectable procedure involves a thorough consultation with Dr. Lemckert, facial cosmetic surgeon, to ascertain your candidacy for treatment. The advantage for Belkyra™ injectable patients is that the procedure is completely non-invasive: there is no incision or energy device required to achieve the fat reduction results. For improved comfort, the skin can be anesthetised for several minutes prior to the treatment. A series of small injections are applied along a treatment grid that is applied to the double chin, allowing for a very accurate and even distribution of the Belkyra™ chin fat treatment. The procedure takes a matter of minutes, allowing patients to get back to their usual activities on the same day. Patients can expect to return to normal activities immediately following their Belkyra™ treatment. Some may experience mild discomfort around the injection site, which dissipates within a few days following the treatment. There is some initial swelling and there can be bruising. 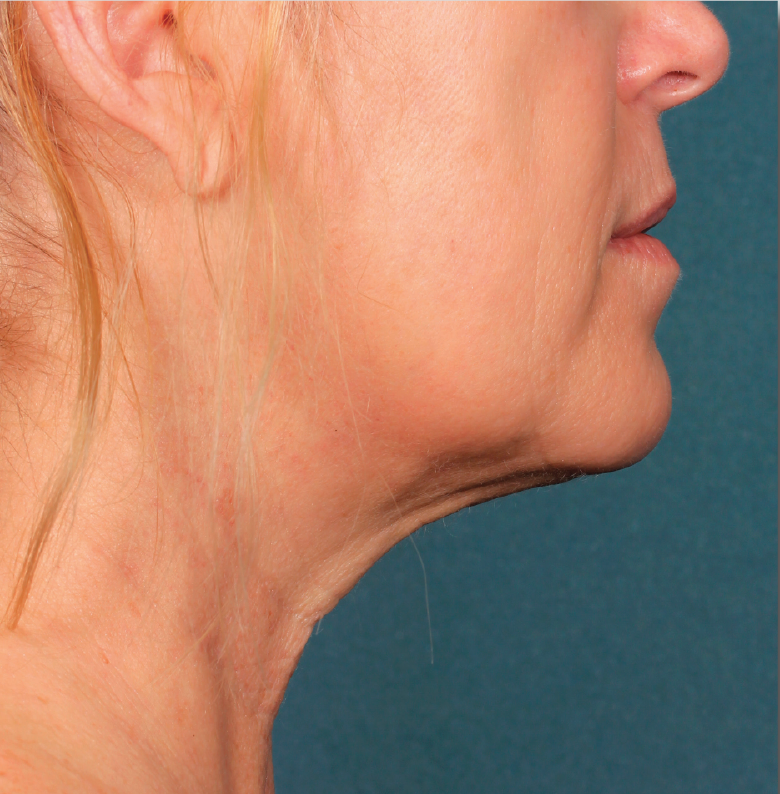 Patients will see gradual improvements to the upper neck and chin area with fat volume reduction over a period of 2 to 4 weeks after each treatment. The Belkyra™ injectable treatment breaks down the cell membrane of fat cells that cause the double chin. The body then transports the released contents of the fat cells to the liver and kidneys for natural processing and elimination. 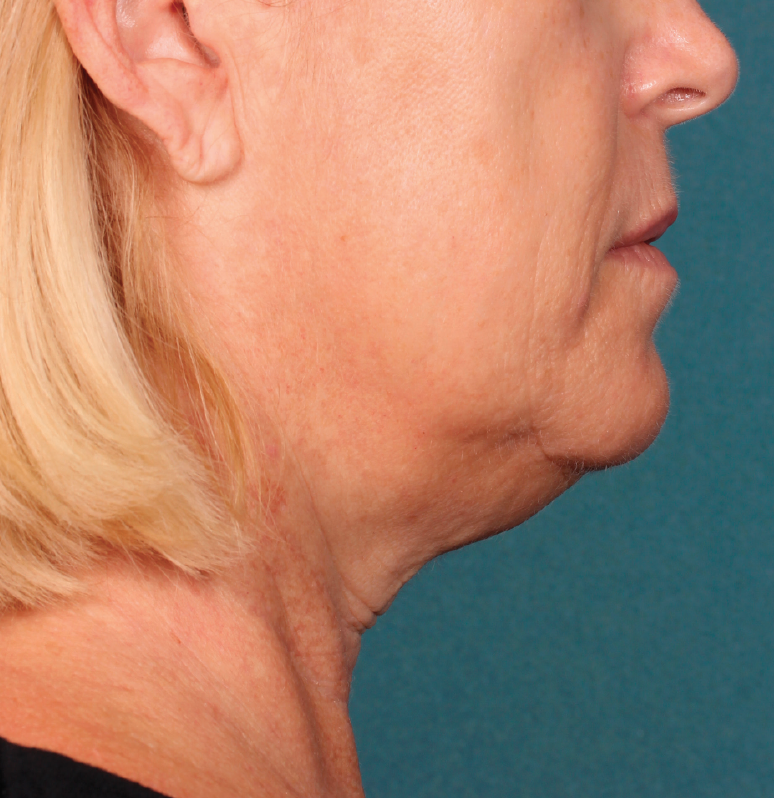 Over a course of two or more treatments, Belkyra™ patients can realize a gradual refinement of their chin and jawline as the double chin is reduced or eliminated. Some patients also notice a subtle skin tightening benefit from the Belkyra™ treatment. The active ingredient in Belkyra™ is deoxycholic acid, a naturally occurring molecule in the body that aids in the breakdown and absorption of dietary fat. Belkyra™ targets and eliminates fat cells when injected into the area under your chin. Belkyra™ gradually improves your chin profile over a number of treatments. Once your desired results are achieved, re-treatment is not expected.